A cuisine festival, a paragliding competition, a photo contest, a ceremony to announce and present certificate recognising Cua Ong Temple as a special national relic site, a firework festival, and the 2018 cherry blossom-Yen Tu yellow ochna flower festival, were a few to name. As many as 12.2 million tourists visited the locality in the year, up 24 percent year on year, including 5.22 million coming from 150 countries and territories worldwide. They are estimated to contribute 23.6 trillion VND (1.01 billion USD) to the tourism revenue, the highest figure ever recorded. The province has focused on improving transport infrastructure. The inauguration of Ha Long-Hai Phong Expressway on September 1 and the upcoming operation of Van Don International Airport and Ha Long-Van Don highway are expected to bring more tourists to the locality. 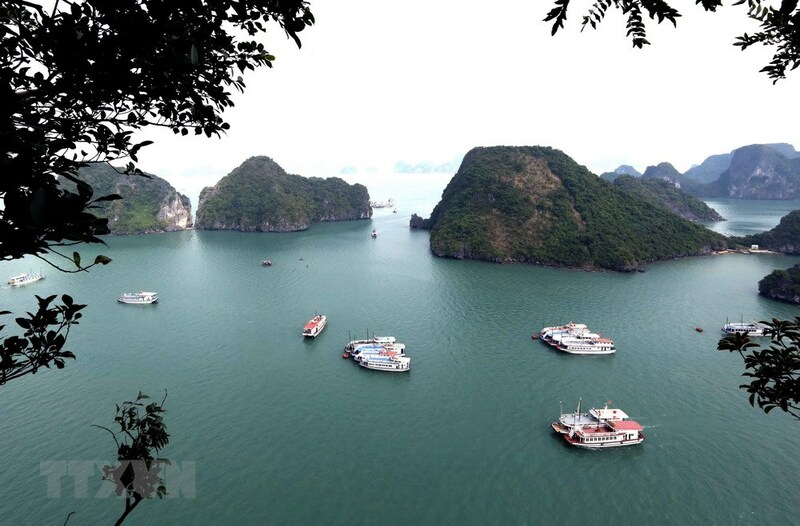 “Well-developed infrastructure facilities and high-quality tourism products will make tourism in Ha Long and Van Don fare well, contributing to the development of the provincial tourism sector,” said Ta Duc Quyet, Director of Mai Quyen Tourism One Member Limited Company. It has been implementing 56 solutions and sub-projects for achieving that target. Quang Ninh has paid special attention to improving the tourism environment and enhancing communications to popularise local tourism and call for investments in the sector. Also, the province is focusing on developing four main tourist zones, namely Ha Long with the centre being Ha Long Bay, Mong Cai-Tra Co with border tourism, Van Don-Co To with island and resort tourism, and Uong Bi-Dong Trieu-Quang Yen with the Yen Tu cultural and spiritual tourism site as the main attraction. Until the end of this year, the province will outline a plan for the tourism promotion programme in 2019, and make meticulous preparation for the closing ceremony of the Visit Vietnam Year 2018 and the ASEAN Tourism Forum (ATF) which will take place in Ha Long city from January 14-18.